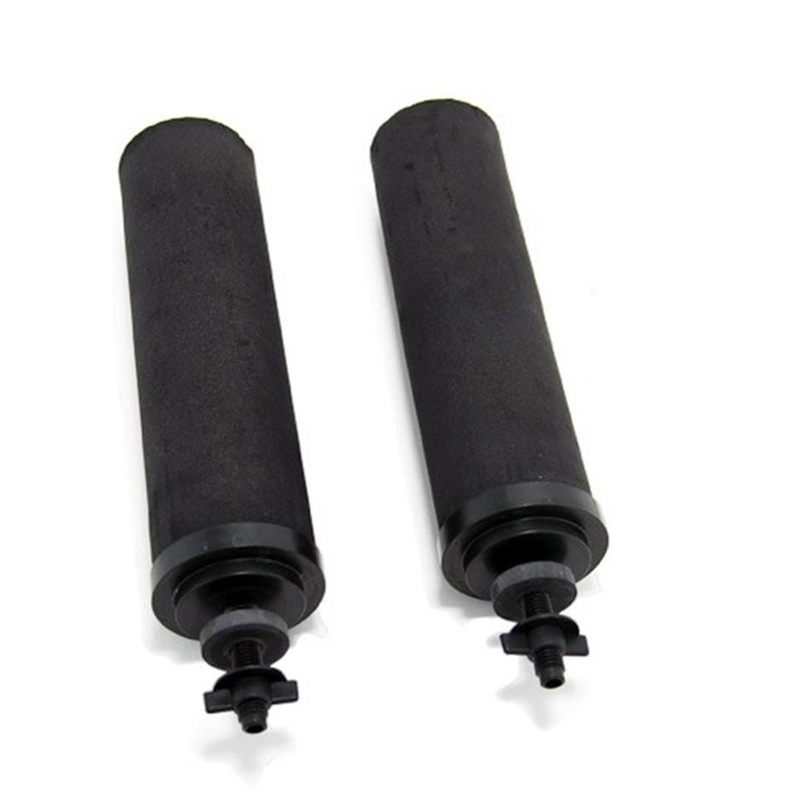 ✓ Set of two Black Berkey filters last for 22,700 litres! 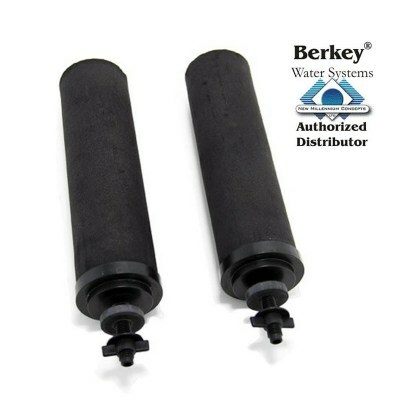 The Black Berkey™ Purification Elements, suitable for use in the Berkey Water Filters, are more powerful than any other gravity filter element currently available. The micro-pores within the cleanable Black Berkey™ purification elements are so small that pathogenic bacteria are simply not able to pass through them. Black Berkey™ purification elements are so powerful, they can remove red food coloring from water without removing the beneficial minerals your body needs. Virtually no other filtration element can duplicate this performance. The powerful Black Berkey™ purification elements also remove or reduce viruses, pathogenic cysts, parasites, harmful or unwanted chemicals such as herbicides and pesticides, VOCs, detergents, organic solvents, cloudiness, trihalomethanes, silt, sediment, heavy metals, foul tastes and odors, yet they leave in the healthful and beneficial minerals that your body needs and....because Black Berkey™ purification elements fit most gravity flters, existing gravity filtration systems can be upgraded. This vastly improves their ability to remove unwanted contaminate. No need for expensive disposable filters. Black Berkey™ purification elements are cleanable. When the flow rate decreases simply brush the Black Berkey™ purification elements with a ScotchBrite® pad under running water, reinstall and your system is again ready to purify water. Each durable and efficient purification element will last for up to 3,000 gallons (6,000 gallons per set of two - thats 22,700 litres!) and provide years of efficient water purification. Because the Black Berkey™ Purification Elements are so powerful they can remove red food coloring from water. This allows you a method to test your system periodically. We recommended that the Red Food Color Test be run after new systems are first assembled. We also recommend that they be tested every 3 to 6 months thereafter, after your system has been in storage or before taking your system on a trip or out of the country, in order to insure your system is functioning properly. The Black Berkey™ purification element formulation has been tested by State & EPA accredited laboratories to exceed NSF/ANSI Standard 53.